Hold a piece of pure, natural history in your hands. 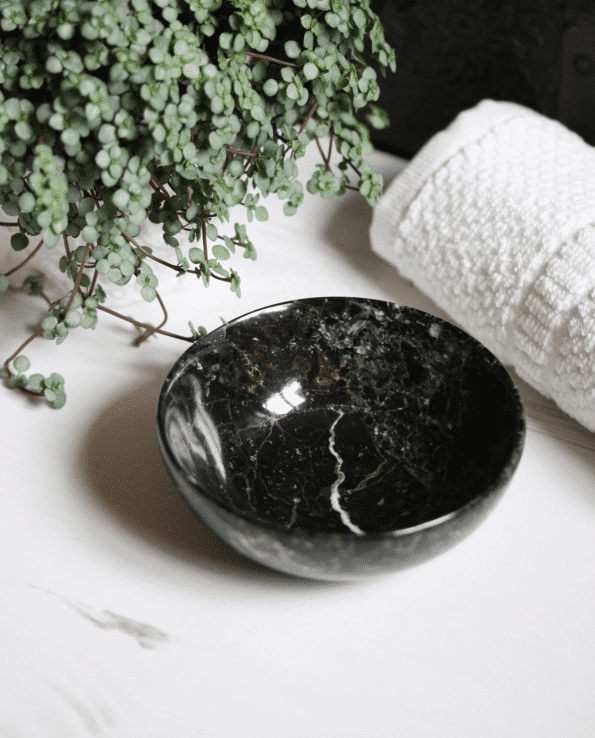 These stunning 10cm black zebra marble bowls feature striking individual colours and lines. 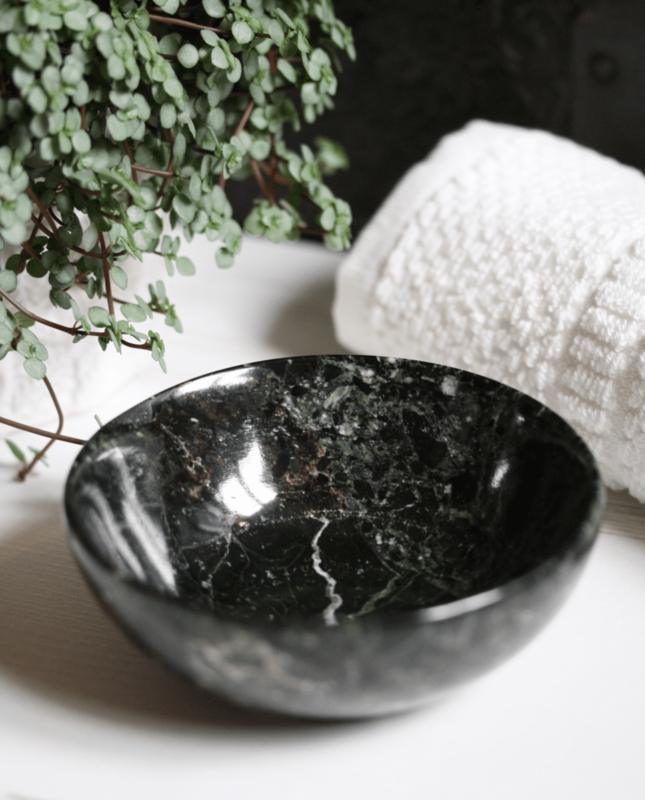 Each bowl is completely unique, with varying colours and lines of black, green, brown, greys and white. They make for a tasteful home adornment or the perfect mixing bowl for your next clay face mask. The stone originates from Pakistan and is believed to promote a greater connection with oneself and nature, enhancing spirituality and energy. The bowl is easy to care for and cleans well with warm soapy water. Delivered safely in a black presentation box.